The Pañcaśatikā Prajñāpāramitā or „Perfection of Wisdom in 500 Lines“ is a Mahāyāna Buddhist scripture that has received almost no attention to date, neither within Buddhist tradition nor in modern scholarship. The text is nonetheless of unique value, as an influence of the Consciousness-only or Yogācāra school can clearly be seen. 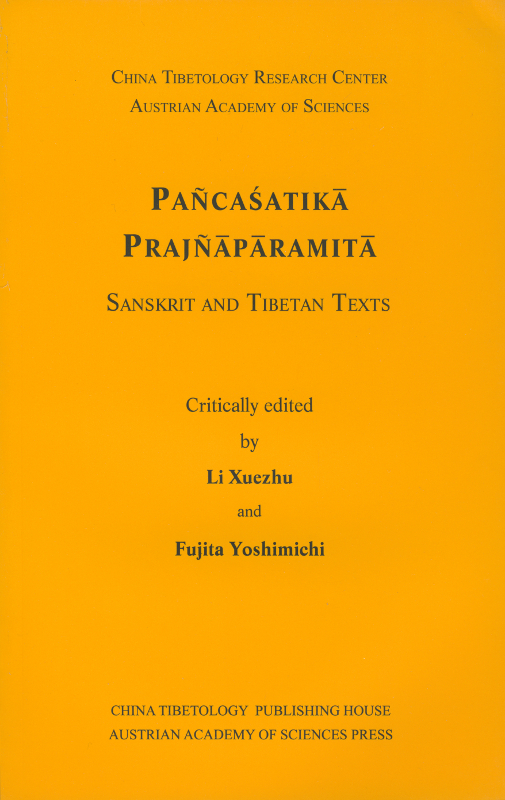 The critical edition of the Sanskrit text presented in this volume is chiefly based on a photocopy kept in the library of the China Tibetology Research Center, Beijing, of a codex unicus found in the Norbulingka Palace in Lhasa. The volume also contains a critical edition of the Classical Tibetan translation, the Song dynasty Chinese translation, and a diplomatic transcription of the Sanskrit manuscript. The introduction is offered in English, Chinese, and Japanese.